1. 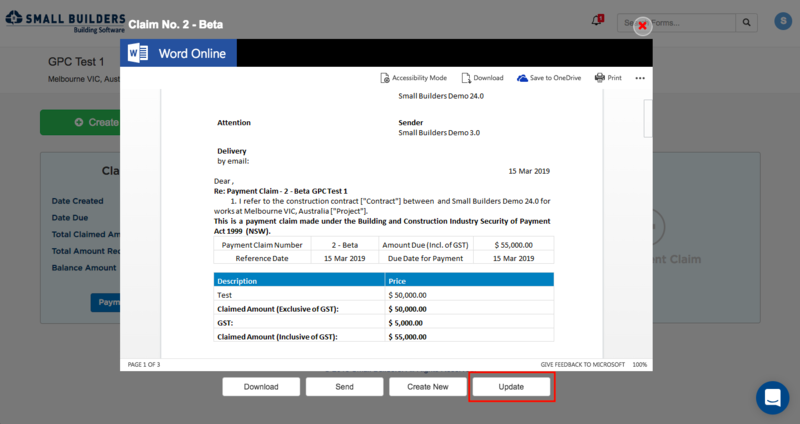 You can click on the Update row under the Action button for each claim on the GPC Dashboard. The claim will then reopen on the GPC form allowing you to make amendments to it. 2. You can open the claim first by clicking View under the Action button and then clicking the Update button on the preview. The claim will then reopen on the GPC form allowing you to make amendments to it. NOTE: Updating of General Payment Claims is only allowed for claims that have not been paid or partly paid yet. 3. 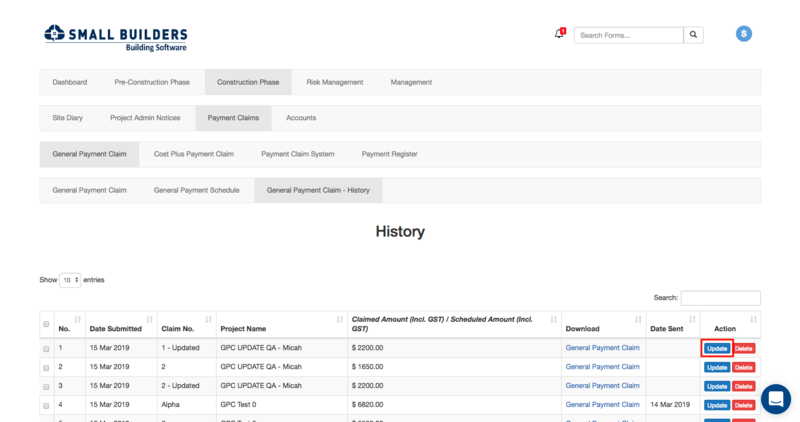 You can also go to the General Payment Claim - History table by following this: Construction Phase > Payment Claims > General Payment Claim > General Payment Claim - History. From there, you can click the Update button on the claim that you want to update. 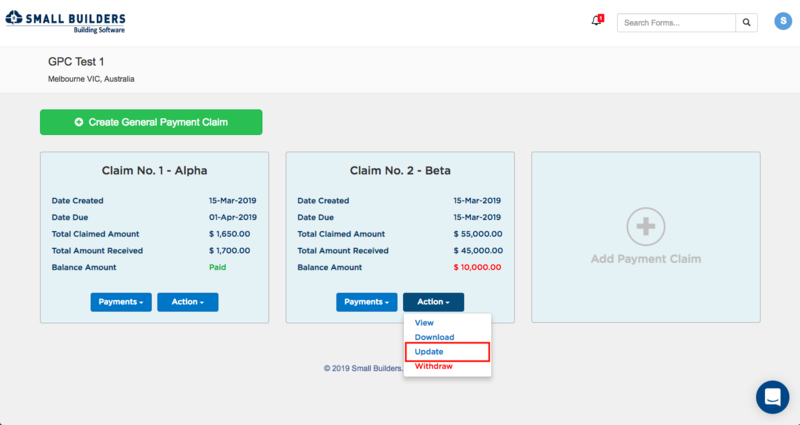 No matter where you choose to update your claim from, always remember to save your changes by hitting the Submit button.